How do you make great games? Play, play, play. There is a lot of real hard work that goes into making and delivering a game. There are graphics, art, editing, rules writing, sourcing, production, shipping, sales, marketing, warehousing, reprints, invoicing, accounting, collections, and a myriad of other actions that happen on a daily basis for every game that gets made and delivered to a customer. It is so easy for people working at a game company to realize that play is one, if not the most important, element. The problem is that play is almost always fun, and when other parts of the business are screaming at you and need your attention, play all too often feels like escaping the “real work” you need to be doing. AEG started out as a CCG company, and making a CCG is very different from publishing boxed games. With each of our CCGs there was a whole lot of front-loaded work and play to create the game, but once we had finished the core game and published it we were then in the expansion business. Our customers and people who played the games every day were the best people to give us feedback on our games, so we would play a ton before a game came out and then as we added team members who were expert-level players we would focus on the business side of things. The boxed board game business is very different. Certainly not as many expansions and you not only have to know what you are working on but also what everyone else out there is doing. Instead of focusing on one game, with a central theme and mechanic, you are looking at several different games and exploring different spins on game mechanics already tried in 50 other games. If you are not playing you are falling behind the curve. 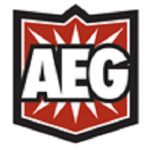 AEG had an office in Ontario, California, for over 20 years. It was an amazing place and we created a lot of great games there, but about the time we started looking at doing board games AEG was embracing the idea of virtual staff. We found that many of our best creative people lived in other parts of the country or world. We are also working with a lot of freelancers, and the office was less and less the creative center for the company. Work always won out over play in the office, and a few years ago I realized we needed to embrace the virtual movement and just close down the office. It was an adjustment, but it was also liberating. A lot of the stuff we did on a daily basis just because we had an office went away, and we got to focus on the things we realized were more important. As a virtual company we would plan and create meetups around conventions and other business travel. We learned quickly that trying to be creative AFTER an event like Gen Con was futile. So we planned summits in front of shows and would travel and visit each other when game development needed to happen. We have also mastered the use of Slack and other virtual connections, but we all knew that there was no replacing shared game experience. So after a few years without the office, days lost leading up to conventions, trying to work in hotel lobbies and busting the budget on summits and Airbnb’s we decided we needed to try something new. Last year we rented and opened up the Larkstone house. The Larkstone house is 100% a creative workspace. It is a 4 bedroom house in Southern California that has been set up for gaming, sleeping, and eating and more gaming. So far it has been the perfect solution for our company. Not only does it act as a central meeting place for our creative staff and our creative summits, it has opened up a completely new opportunity to invite designers and other creatives to come stay with us and collaborate on new projects. For me it is a lot like running a gamer Airbnb. In fact, as I write this my wife is up helping me turnaround the house for the next group of guests. We will have designers in on Thursday and Friday and then a big design summit all next week with Peter McPherson, designer of Tiny Towns, our first big game of 2019. I fully expect this will become a thing that many companies copy. But fair warning, there are a few things you must consider. How cool is your spouse? I mean, if you open up a gaming house, you will spend a LOT of time at the gaming house. Your spouse needs to be cool with that. I crash here when guests are in town. And as noted my lovely wife Julie makes sure that this house has a feeling of home. I just do not think it would work the same if it was a dingy gamer crash space. (So thank you, Julie). Cleaning the house becomes a part-time job. Changing up the beds, dishes, vacuuming, cleaning out the refrigerator all have to be done. We will occasionally bring in a service for deep cleaning, but that can’t be done every week. It can get expensive so we keep it up ourselves. Who do you play with? This is another challenge of running a small game company. Who can play games between 9am and 6pm on a weekday? Very few people. So most game companies work all week and then game in the evenings and on the weekends. Our solution has been to bring in a range of gamers; folks that work at night, are currently between jobs, retired, et cetera, to be on-call for gaming sessions. We are now also scheduling regular game meetups and inviting locals in to play on gaming nights and during playtest sessions. Last but not least, how do you keep the day-to-day work out of the house? For us, we have made the edict that it is just not a place where day-to-day work gets done. I keep a small office in the house, but it is more a command center for development. It can be used by people visiting, but everyone needs to keep their day-to-day work out of the house. Getting an invite to Larkstone . . . If you are a Los Angeles or Orange County local and would like to placed on our play test meet-up list, send an email to creative@alderac.com with the title [Play-Test] Larkstone Mailing List. Let us know what type of games you like to play and when you are most likely available. If you are a So Cal game designer, we are scheduling game designer meet-ups once per month. If you would like to be included in the mailing list for a possible invite, send an email to creative@alderac.com with the title [Larkstone Game Designer Meet-Up] along with your contact information. At this time overnights and summits are by invitation only. Peter McPherson wins this round of Tiny Towns against developer Josh Wood. I cook, you clean. Dinner is served. 7 Player Space Base with 2/3 of the Flat-out Games team. Jackie shows John, John, and Josh how to win at Wingspan. Hi, my name is John Zinser and I am the owner of Alderac Entertainment Group, or as most folk know us, AEG. I have been playing games since I was 13 years old and making games for 27 years. I wanted to launch our company blog with a small series of articles to talk about where we have been and where I think AEG wants to go. I am also doing this because I have taken on a new role in my company. For the first time since starting AEG I will have the job I always thought I would do when I started the company. I am AEG’s new Director of Development. You may be wondering how that is different than the CEO position at a small game company—and I am excited to tell you. If everything goes as planned, I will not need to focus on day-to-day business-related work items. My main focus will be on our games. I won’t be taking my hand completely off the tiller, but imagine that my life inside the company has been 80% business and 20% games. We are going to flip that and make my role at the company 80% games and 20% business. This sounds pretty good; right? I agree. I am most excited because it is a job that I thought I would be doing when I started AEG, and I am betting that many of my peers feel the same way. You start a business doing something you love, and then end up doing less of that thing while working on your business. My resume starts in the summer of 1977. My best friend Paul Stachel’s sister bought him the 1st Edition Dungeons and Dragons Blue Box—and our lives were changed forever. I get it. It’s easy to say you were a nerd when being a nerd was not cool, especially now that geek is chic. But I have photographic evidence of my deep and unabashed geek roots. I was my group’s main GM for five awesome years all through high school and a period of time afterwards while I was figuring out what happens next. I still have our group’s gaming briefcase. When I open it, the smell of dusty old tomes quickly takes me back to weekends at my friends’ houses and a gaming campaign that would direct me towards a great career in gaming. Yes, that is duct tape on the bindings with dice well worn from may uses. I’ll skip most of the nongaming stuff. I am a serial entrepreneur. I went to college, but mainly to play tennis. My first business was a small pizza place called John’s of California in Scott City, MO, and after that a place called Frisco’s in St. Louis. (I am forever grateful to the partners who taught me a lot but also invested in those start-ups.) I fell out of pizza and into golf marketing—long story—skip ahead 12 years. I am in Myrtle Beach, SC. I need business cards and go into a small print shop where I see on the counter a copy of Shadis Magazine. At that moment my past and my future collide, and somehow a year later I am partner in a small game company. And of course, I think I’m going to be a game designer . . . I then met real game designers, math wizards, graphic artists, editors, writers, storytellers—true creative geniuses. I just could not put myself into the same universe as those talented people, and quickly realized my job was to publish and sell their products. I am reasonably good at marketing and sales, and so that is what I have done as the CEO of AEG for most of my 27 years. The jump to this seat was an easy one for me. First, it is obvious that the skills needed to sell and market games have changed. There are no shortcuts. In the good old days we would jump on a plane, take a few distributors to dinner and then wheel and deal to sell a few cases. These days it’s social media, influencers, clicks, Twitter bombs, and yes, even blogs. (See, you can teach an old dog new tricks.) My skills have changed with the times and my heart has always been on the creative side of the business. The basics are still the same. The creatives we work with are all so talented that we genuinely feel privileged to work with them. But we now have an idea of where we want to go and what type of games make sense for AEG. And If I can get the right people on the right projects and get out of the way, the best is yet to come. Mardi Gras is here and we are ready to let the good times roll!! Download and print your own board game mask and join the carnival celebration. It’s been almost 100 years since the Scorpius system was settled. Sentient beings came from all across the stars to start new lives, following their dreams and the offer of prosperity and adventure in this new system. The reality was less idyllic. The Government controlled almost everything. They controlled wages, prices, entertainment, information and more. They transformed an idealistic colonization project into a systemwide serfdom. Tens of billions of beings live in Scorpius with no hope of advancement, no hope of escape. Except that not everyone in the Government toes the line; In Scorpius Freighter you can pick members of a specific faction or all-out draft your crew members for replayability. Those you choose still believe in freedom. Operating under the nose of the massive Government motherships, a few bold freighter pilots use the system against itself. You will travel back and forth to black market planets to make adjustments to your freighter, like expanding storage space, picking up goods and people for informant actions, and deliver those goods to complete contracts and side deals to earn reputation (VPs) using some Euro mechanics like: Worker placement, Resource management and Tile laying. Your crew still handles their sanctioned job duties… as well as a lot of extracurricular activities like smuggling restricted medicines, passing censored information, and facilitating transactions below the Government’s radar. They are fueling the revolution, and the revolution is coming. So you need to be fast and avoid drawing attention, or the Government’s attention will fall too heavily on your illicit dealings. The Five Points is a card in Quest 6: What Lies Beneath featured in Thunderstone Quest: Back to the Dungeon coming to Kickstarter on July 17th at 9am Pacific! Due to a last-minute production & logistics problem we were unable to get the Havens Event Kits for Mystic Vale to Gen Con this year. Many players had previously purchased tickets to the events and we did not want to cause undo disruption to players’ schedules by arbitrarily cancelling the Havens events. Instead, we made a special offer to attendees who had paid for tickets to the events and who did not get their tickets refunded. If you attended one of those Havens Event Kit events and you did not seek a refund, you were provided with a limited time coupon code for our online store. You can use that code to order up to three sets of Mystic Vale sleeves, the same sleeves as contained in the Havens Event Kits. Please do not share this coupon code with any other person and please do not order more than three sets of sleeves. If there are multiple people in your household, each person will need to order their sleeves on their own account. To use this coupon, create an account at alderacstore.com. Once you have done so, you can add the Mystic Vale sleeve items to your cart (up to three only per order please!). In the checkout process, click the “Promo/Gift Certificate” link to show the entry control and then enter the coupon code you were provided at the event, which will convert the prices on the sleeves to $0.00. You will be responsible for the shipping & handling for delivery of your order. We currently expect to be able to ship these Sleeves sometime in the 4th quarter of 2018 – between October and December. Please don’t include these Sleeves on an order with any other merchandise as the whole order will be held until the Sleeves arrive. This coupon code will be valid until the end of October 2018. If you have any questions about how to use the coupon, the terms & conditions of this offer, or have problems applying the coupon to your order please email customerservice@alderac.com. Cleaner’s Net is a card in Quest 6: What Lies Beneath featured in Thunderstone Quest: Back to the Dungeon coming to Kickstarter on July 17th at 9am Pacific! Battlepick is a card in Quest 6: What Lies Beneath featured in Thunderstone Quest: Back to the Dungeon coming to Kickstarter on July 17th at 9am Pacific!